This revolutionary new device easily installs mushroom shaped rubber plugs into all tubeless tires while staying on the wheel. The Plugging device 'drives' the plug into the hole with a turning of the hex wrench. The plug expands under pressure to fill the punctured area. A firm pull on the stem with your pliers seats the mushroom head on the inner wall allowing no air to escape. This technology insures maximum reliability while reducing your downtime in any situation. Cutoff time for orders is 1pm for sameday dispatch on goods on stock. Most orders are completed and delivered within 3 working days. You will not be informed if we have to order a part in and it's going to be less than a week til despatch. CARRIAGE CHARGES are as shown in the Shopping Basket when the correct delivery region is selected. Small Value light in weight SINGLE items will now be sent by 1st class RECORDED post. If this applies to an item it will be shown at checkout. Bike Tyres Leeds need to be informed of any late/missing orders within 3 DAYS of order. EXCLUDING International Orders which can take longer and items posted. Goods ordered on this site are only available for shipping to the UK postage charges on certain areas and will be notified at time of processing. If in doubt please phone for Highland and Islands prices before. 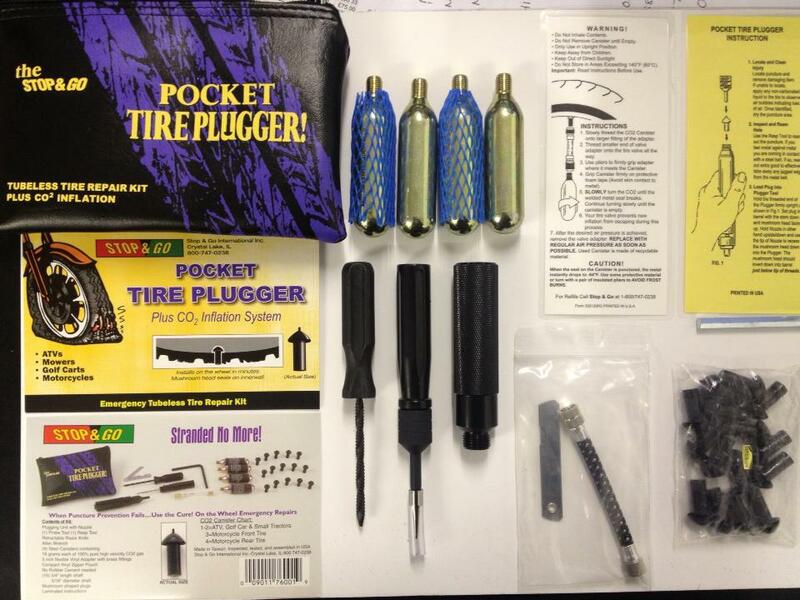 There are no Reviews for the STOP N GO POCKET TYRE PLUGGER (LARGE) yet. Why not be the first to write one?